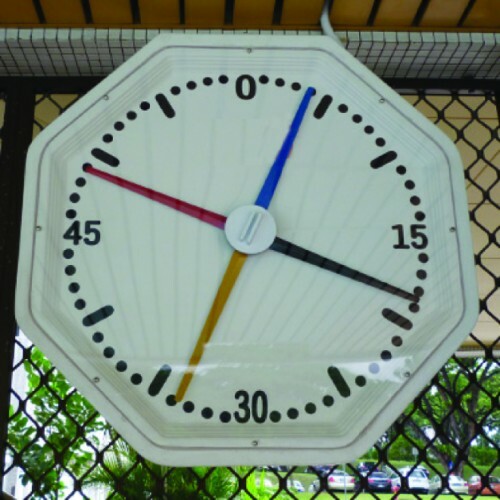 The pace clock is made from engineering plastic. The clock has a large and clear dial. The multi colored hands provide clear and easy reading from the water level. The clock can be hung on any wall near to the pool.